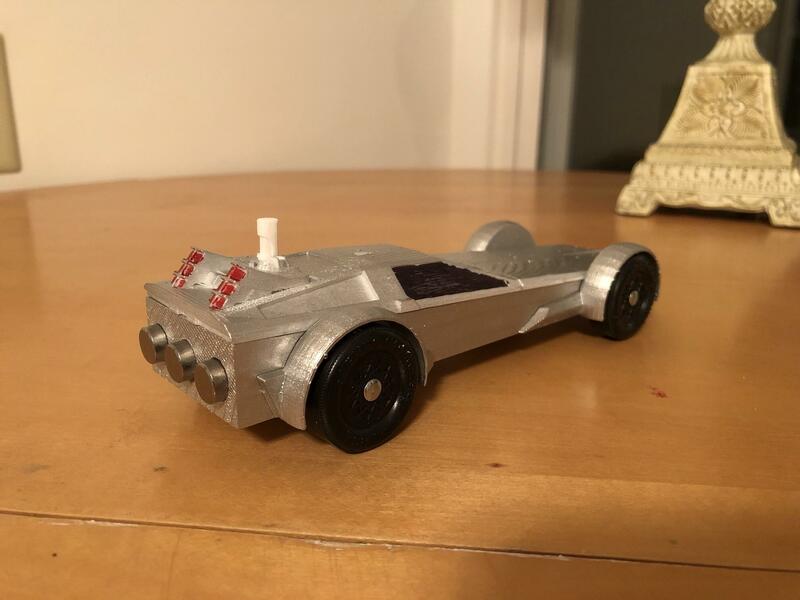 The Pinewood Derby race is next week, and Mason Carson believes he and his 11-year-old Cub Scout son have a winning car: a sleek, low-profile, Batmobile-esque chassis. “It’s all hand-carved wood on the very top, but that piece of wood is only about as thick as a toothpick,” raves Carson, who lives in Aroostook County in northern Maine. The rest of the car? Acrylonitrile butadiene styrene, created with pro software and molded in a 3D printer. The Pinewood Derby is a lightning-quick battle of engineering, woodwork and graphite lubricant; fates and glories are sealed in a matter of seconds. With a total weight limit of 5 ounces to consider, every precise measurement matters when you’re building a racer. Lately, Derby families like the Carsons have realized wood can take them only so far if they want to win. It’s time to embrace the future. So to give themselves an edge, this father-son team “took out the physics book” — and a lot more. “It’s impossible to compete with the guys who just buy their cars,” he says. 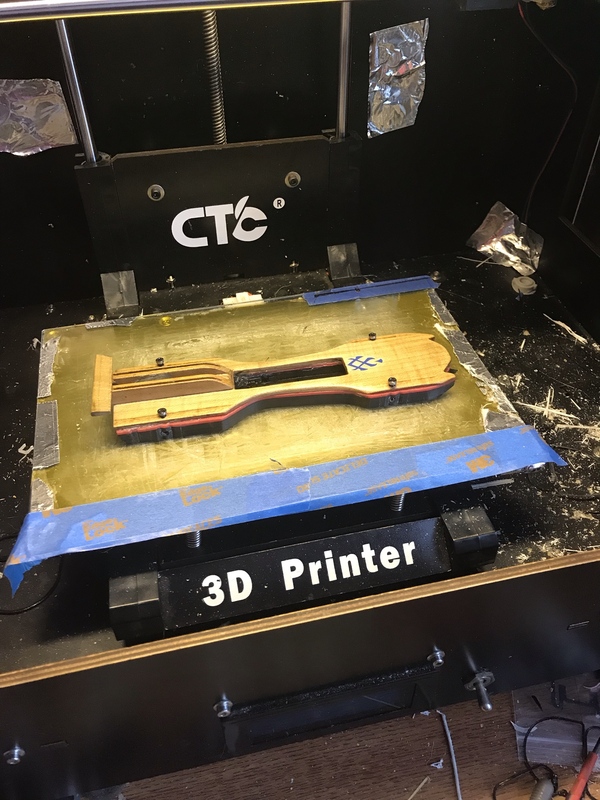 They needed to up the ante from simply sanding down a block of wood; 3D printing was the most effective way to avoid a devastating loss. Unless specific Scout troops make rules against premade cars, gone are the days of everyone racing amateur, hobbled-together models for fun. The new breed of dads want to win, no matter the cost. It wasn’t an engineering-driven contest then, he says. “There was very little science involved.” But when 2008 rolled around and his son’s car “didn’t do that well” in his first Pinewood Derby race, he realized everything had changed. Robbins says he started selling pre-cut cars because men no longer have the woodworking skills necessary to build a competitive car. While Robbins maintains that he’s not selling any “finished cars,” or cars that you simply buy and race, he does go into detail on just how much better off you are buying one of his kits that “still need to be sanded, painted, decals put on and lubrication and all that,” instead of making your own. “We sell car kits on our website that are only a quarter of an inch thick, and we cut those with the laser cutter, because then it’s perfect to put tungsten cubes [into] and push the center of gravity back as far as we safely can, so you have more control over your center of gravity,” he says. So as Robbins sells lubricated axles and aerodynamically sound bodies, and Carson designs his car in CAD to find the perfect center of gravity, where does that leave everyone else? Brian’s dedication to teaching his kids lessons beyond how to win is the reason he thinks 3D printing should be banned. “3D printing a car kind of violates the spirit of using the block and the tires and the nails that came in the box, which is sort of the heart of the rules that we’ve played by,” he says. Carson argues that 3D printing isn’t going anywhere, and the Scouts should just adapt. 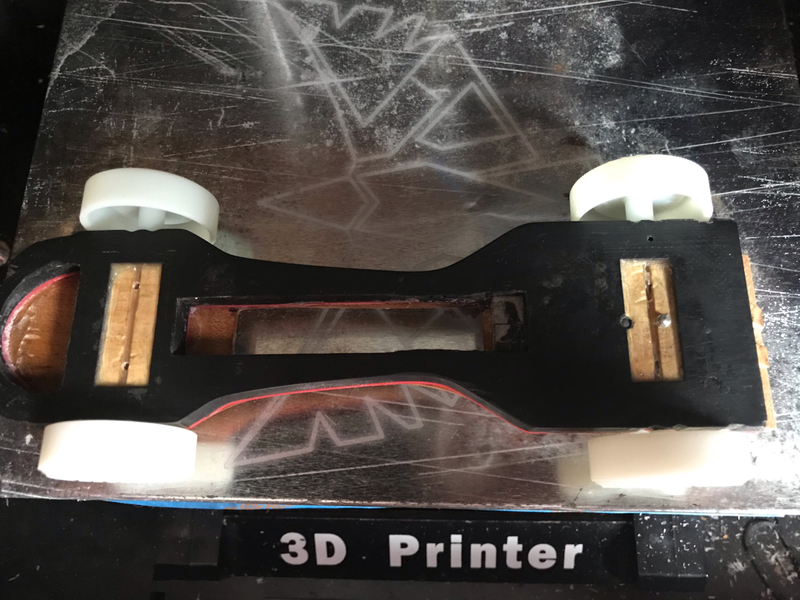 Yes, his car was 3D-printed, he says, but he still spent quality time with his son, designing the car in CAD and learning the physics of the race, instead of chopping and sanding wood. “My son is 11 years old and I’ve been teaching him CAD, just the basics,” Carson says. “I set him up a little simple program to use. It’s something I want him to develop in skill, you know? Because it’s the future. “Science classes are already putting 3D printers in their classes, they’re teaching kids Raspberry Pi and how to program basic robotics stuff, so I think it’s going to eventually be something comparable to woodworking, where if you want something made, you’re going to 3D-print it,” he tells MEL. Boy Scouts of America did not respond to my inquiry about 3D printing. According to Boys’ Life — the official media arm of the Boy Scouts — there are no national Pinewood Derby rules, so unless national guidelines are put in place, or 3D printing is banned altogether, everything Carson is doing is perfectly legal by way of his local pack’s rules. “I’ve done 3D-printed stuff for a couple of years now, and we’re going to race next week with one that’s, like, 99 percent 3D-printed,” he tells MEL. “But I’m very adamant on sticking to the rules as written in the book in case they ever say anything. Everything is right to the letter. Should Pinewood Dads Get Their Own Race? Brian adds another option, one that’s gained popularity across many Scout troops. By offering two races — one for the boys and one for the adults — parents are less likely to commandeer the process. While separate events for adults and kids might replace the feelings of father-son teamwork with individual glory, Robbins says in his 52 years of being involved with Pinewood Derby races, it’s always been the dads who are more interested in winning.